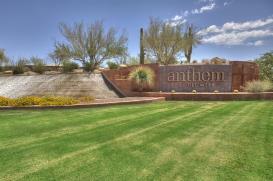 Anthem is located in the northern foothills of Phoenix, just 34 miles north of downtown on I- 17. It is centrally situated between downtown Phoenix and the northern city of Flagstaff. The community enjoys easy access to colleges, sports venues and the nightlife of Phoenix, the recreational destinations, and cooler temperatures of northern Arizona cities like Prescott, Sedona and Flagstaff. Anthem is served by the Deer Valley Unified School District. Deer Valley was named an Advanced Placement Achievement district, one of four in Arizona. With 4 K-8 schools and one high school, all of which have received “Excelling” or “Highly Performing “awards. Making Anthem a great place to learn and grow.